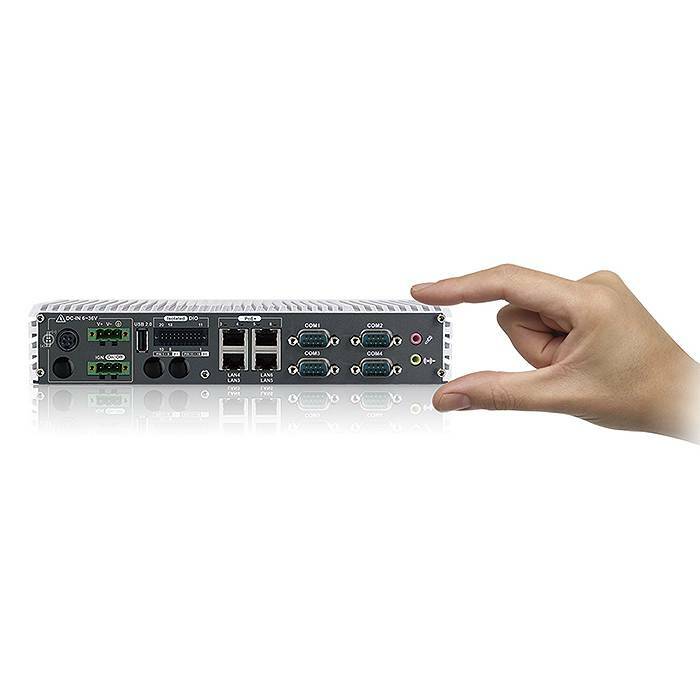 The MilAxon 2100 features up to 6 Gigabit Ethernet LAN ports, 4 of which are IEEE 802.3at compliant to provide Power-over-Ethernet (PoE+). 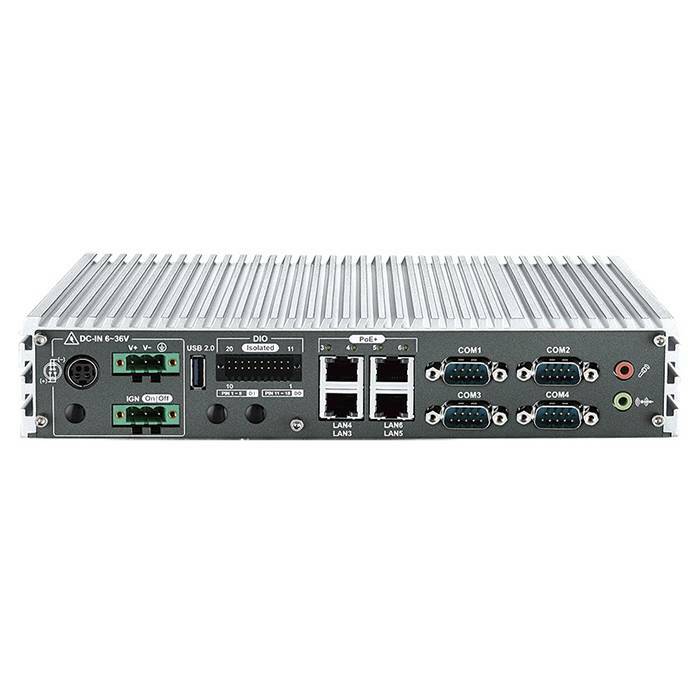 PoE+ can be a significant advantage in reducing cabling cost for military networks by providing both data and power connections to end PoE+ capable devices such as IP cameras, network IP thermostats, or other network sensors. The MilAxon 2100 Slim Profile Rugged Military Computer is powered by the 5th Generation Broadwell-U Dual Core processor from Intel. The excellent thermal efficiency of Intel's 14nm Broadwell lithograghy allows the MilAxon to provide profuse computing power in a slim profile chassis. The MilAxon 2100 can independently support 3 LCD displays (5 if two displays are cloned) with 4k resolution each. This makes the slim and compact MilAxon 2100 ideal for multiple monitor consoles where space is at a premium and heat is a concern. The MilAxon 2100 has a fanless operating temperature from -25°C to 70°C. Why fanless? Because fans fail, which leads to further cascading failures in the system. Rugged Science focuses on fanless, solid state designs to ensure premium operation for critical systems in challenging environments. 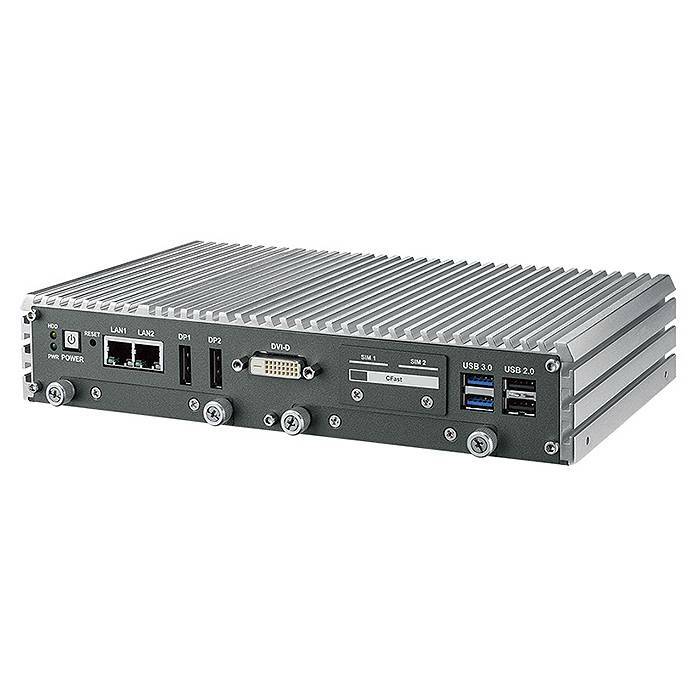 Internally, the MilAxon 2100 rugged computer features 2 mini-PCIe sockets, which allow for easy adaptation for mobile applications that require 3G/ 4G/ LTE/ WiFi/ GPRS/ UMTS support. Like all Rugged Science Military Division Products, the MilAxon 2100 features an embedded CPU and chipset that are on Intel's embedded road map. This translates to guaranteed support for a minimum of 7 years, in many cases much longer with industrially popular chips. Embedded road map chipsets can be a key obsoletion management tool when planning new military computing systems.